Today, Interactive is a multi-service IT provider that has grown to become Australia’s largest privately owned IT company. They provide hosted data centre, business continuity and a selection of user-friendly cloud-based services, as well as our traditional hardware maintenance. Interactive has a strong alliance of customers and staff, and are commonly faced with challenges daily. 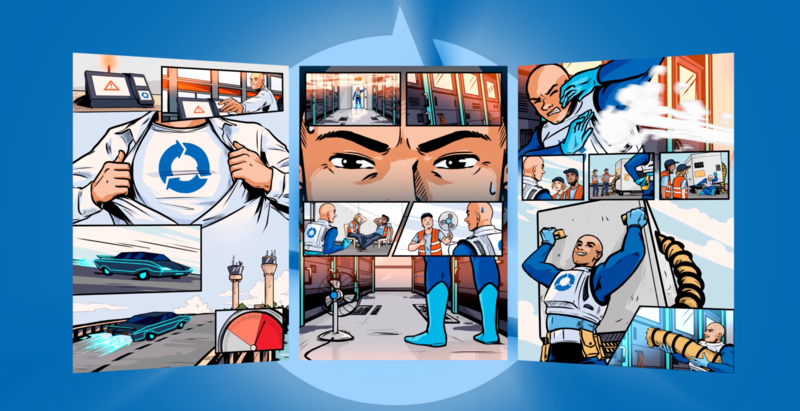 Although these challenges come in various shapes and forms, interactive wanted to share the stories of their “everyday heroes”, more specifically their onsite technicians. “We have to consider the security of our client’s data, and their customers IP. Keeping their IT systems running smoothly is vital as they are continuously exposed to malicious attacks”. 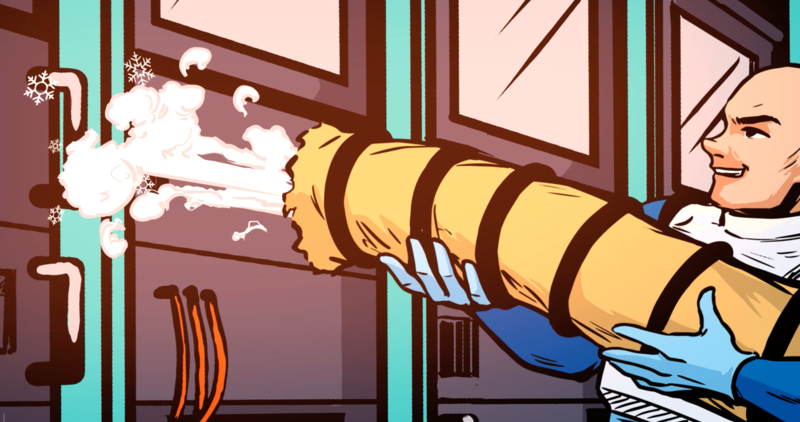 We pitched an idea to have these stories told through an animated comic book, creating these superheroes with special abilities that reflect their technical skills. We felt like this would be the best medium to get these amazing stories across. So, we got to work, put together a proposal and included some sketches of these superheroes and their special abilities. They loved it and wanted to get started right away. Below you can see some of our early sketches based on “Ice Man”. He adopted the nickname after he averted a massive catastrophe at one of Australians biggest airlines by supercooling a network rack that was on the brink of a meltdown on a hot summers day. And here you can see a more refined sketch of “Ice Man”. Once we illustrated and animated the first episode of the series, we created a three-fold spread to give it that comic book feel, see below for the final illustrators. We have since completed episode two of the series and on our way to producing the third episode. We appreciated the fact that the client was willing to take an unorthodox approach, this was a new experience for them and we were able to help them through the creative process.